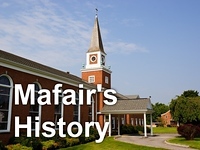 Mafair UMC: What Does It Mean to Be Great? "What Does It Mean to Be Great?" is the message given by guest minister and U.S. Army Chaplain Ryan Davenport at Mafair UMC on April 10, 2016.